After our first article where we gave you some ideas of leather jackets for men, today we will continue with 7 more proposals, this time for women. Leather jackets have been around for a really long time and they were firstly worn by men, and even today, people mostly picture leather jackets worn by bikers, or the classic movie type of “bad boy”. As the trend of wearing them gained popularity, wearing leather jackets crossed over to women’s fashion as well, and they became a unisex item, worn by both genders. The style also developed and nowadays it is not just for the biker or rocker style. These jackets not only look very edgy and carefree, they are also quite comfortable to wear and go well with a lot of different styles. Even when it comes to matching them with different clothes, they fit right in, whether it’s pants, skirts or dresses. Usually, leather jackets come in dark colors, but there are a multitude of styles and selections out there, which range not only in color but also in patterns and designs, as you will see in this article. 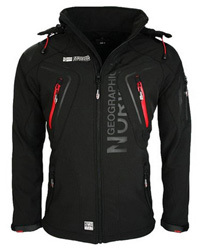 We have done our research and here we present seven jackets with the best user reviews, each different from the other. So if you are just getting into wearing them, or are a fan of this kind of jacket, these proposals will definitely catch your eye. The first one we are introducing, is the Bandit biker jacket from ONLY. 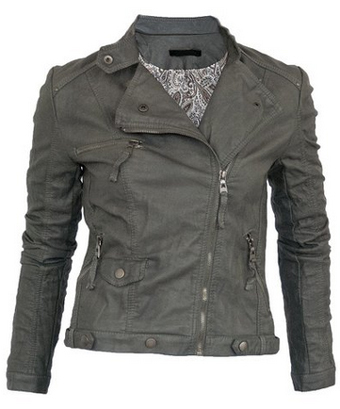 It is a short jacket made of 50% faux leather and 50% Viscose material. The inner lining is made of polyester and there are four pockets on the outside of the jacket, with two being open pockets on the sides and the two others are zipper pockets on the chest. The collar is short and closes with a snap button, which goes over the main zipper. The style of the jacket gives the look of a well-worn jacket, with all its wrinkles and folds, making it a very casual jacket, suitable to be worn with jeans. There are four colors available: Brown, White, Black and Beige. Carrying on with another jacket from ONLY, and comes in the same material blend as the previous one. There are wide flaps continuing from the collar, which overlap the zipper, which is placed a bit to the left of the jacket. There is a double zippered pocket on the left side, one zippered pocket on the right side and one on the chest. The sleeves are a bit longer, and the fabric is slightly wrinkled all over. There are four colors to choose from and they include: Ash, Dark grey, Falcon (brown) and Phantom (a shade of grey). Another one from ONLY, this is also a biker style jacket. This is another faux leather jacket, with the same half and half blend like the previous jackets from the same company. It is short, with wrinkles all over and horizontal quilting on the sleeves. The collar is short and flat, and closes with a snap button, over the zipper, which in this jacket, is placed in the center. There is a horizontal pocket on the left side of chest, and two zippered pockets on the sides. 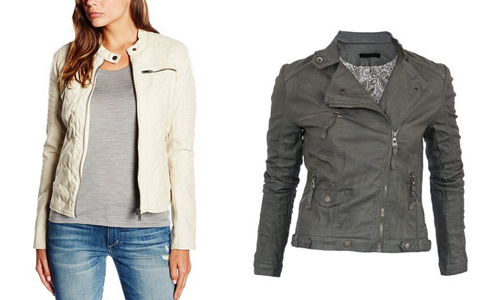 This jacket goes well with any outfit, but with jeans is where it truly stands out. 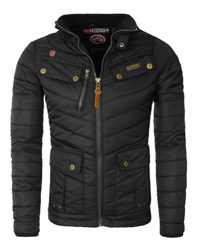 It is a very lightweight jacket, suitable to be worn in the cooler days of Spring or warmer days of Autumn. The color selection includes: Maroon, Taupe, Stormy Weather (blue), Cognac, Oatmeal, Blue, Dark green, Grey, Black, Midnight navy (dark blue) and Ash. This next jacket is from Softly, and it’s called the Rock ‘n Roll jacket. It is made of faux leather, in a combination of 60% Polyester and 40% Viscose material, with the inner lining made of 100% Polyester. It is a long sleeved jacket, with large folds and ridges on the sleeves and lighter wrinkles all over the main part and back, which give it the retro look. There are several logos on the right side of the chest, fitting to the Rock ‘n Roll style of the jacket, with one being Rolling Stones‘ icon logo. There are logos on the sleeves as well. It comes with a medium height collar, which zips all the way up from the base of the jacket and closes with a snap button, as does the lower part of the jacket. There are several pockets on the outside, two zipper pockets on the sides, one flap pocket more to the front and another zipper pocket on the chest. The cuffs have zippers as well, for more added detail. There are many colors to choose from, including: Brown, Black, Yellow, Grey, Red, Blue, Beige, Cognac. 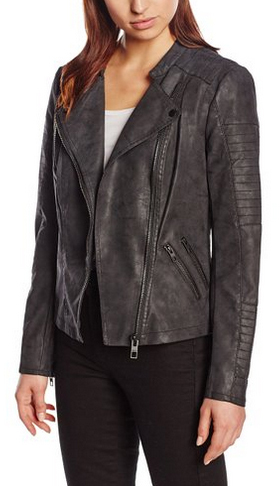 This jacket is also from Softly and it’s a biker style jacket, made of faux leather. The material is also a blend of 60% Polyester and 40% Viscose. It is a short jacket, with snap buttons around the hem, on the flaps of the collar and on the collar itself. The main zipper is placed sideways, to the left and there are four pockets on the outside. Three of the pockets close with zippers and there is, once again, a flap pocket close to the right side pocket. 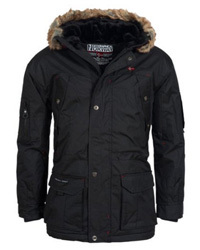 It is a very trendy jacket, and it goes well with any casual outfit. On to the color selection, we have great news: there way too many colors available, more than twenty, to be more precise. They include: Beige, Blue jeans, Light grey, Navy blue, Washed red, Cream, Red, Green, Beige, Caramel, Coral, Indigo, Washed Grey, Rosa, Pink, Taupe, White, Anthracite, Dark red, Brown, Cappuccino, Chocolate, Cognac, Black, Light blue, Dark grey, Salmon. 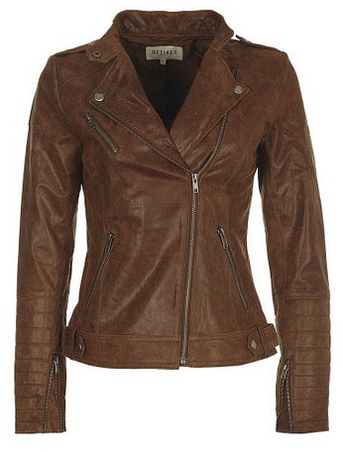 This next jacket is the Dawn faux leather jacket from Vero Moda. 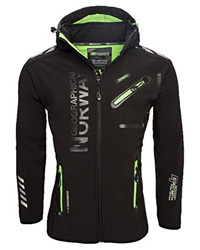 It is a short jacket, with two snap buttons as closures, apart from the main zipper. They are located at the bottom and top of the zipper, on the collar. It comes with light ridging and folds, which combined with the elegant look of it, make this jacket a very casual one, that can be worn with jeans, skirts and dresses, and look great. It is made of a half and half combination of viscose material and polyurethane, with the inner lining made of 100% Polyester. This jacket comes only in the color black. 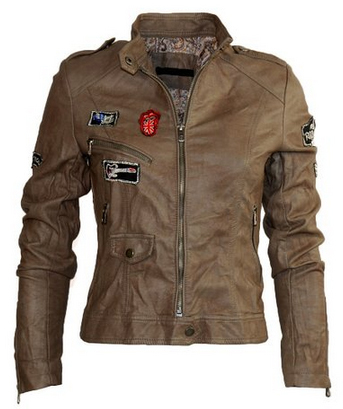 The last jacket in our selection, is a real leather jacket, with more of a classic leather jacket look, from DESIRES. 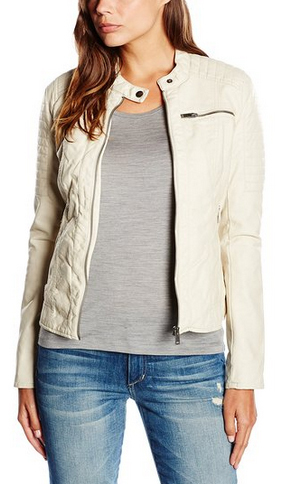 It is a slim fit and feminine jacket, with the main zipper that closes a bit diagonally to the left. The collar is medium height and comes with wide flaps, with snap buttons. There are three pockets on the outside, all zipper pockets and placed a bit diagonally. There are snap button slaps around the hem. The sleeves are long, with zippers on the inner side of the cuffs. The colors available are two: Cognac and Tobacco.